I am a fan of Japan. Although I have never been there, it is definitely in one of my to-go destinations. I am very inspired by the Japanese way of living. If you remember, last year, I had a short obsession with Japanese fashion/styling. In fact, we can all agree that whatever the Japanese create, it is of utmost quality. Ippin contacted me a while back and asked if I would like to try some halal Japanese skin care products. Ippin is a cross border online shopping mall that specialises in Japanese products from food, fashion, cosmetics, baby & kids products to electric appliances. You can get halal authentic ramen right from the country of origin, Japan, via Ippin! Ippin sent me the whole range of skin care products from Sakura Kokoro. 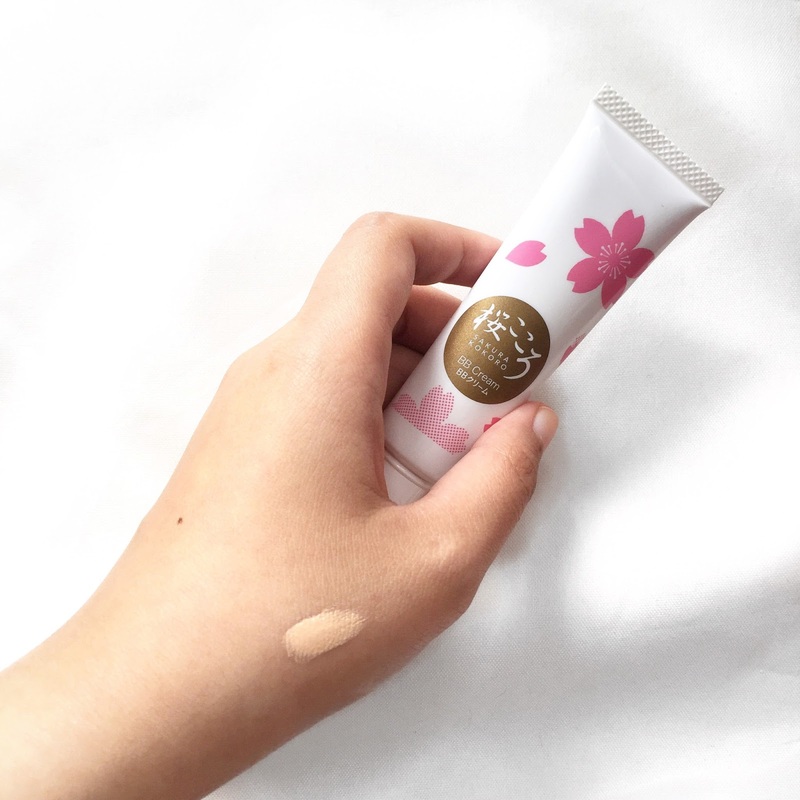 Sakura Kokoro is a range of skin care which is halal. There is no alcohol and any animal derived content in any of the products. 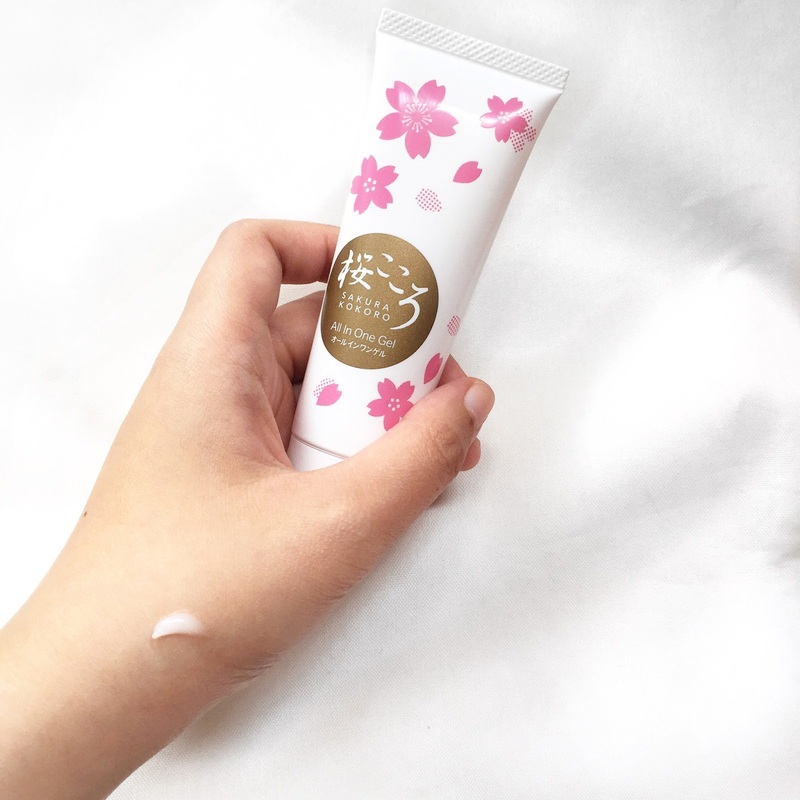 Sakura Kokoro is also suitable for anyone with sensitive skin. I was sent four products to try and I am actually excited to share this with you. I personally enjoy using the cleansing wash. It really delivers whatever it has promised. I don't like cleansers which foams because I feel like it will dry out my skin excessively. For many years, I have been using a gel-type cleanser. 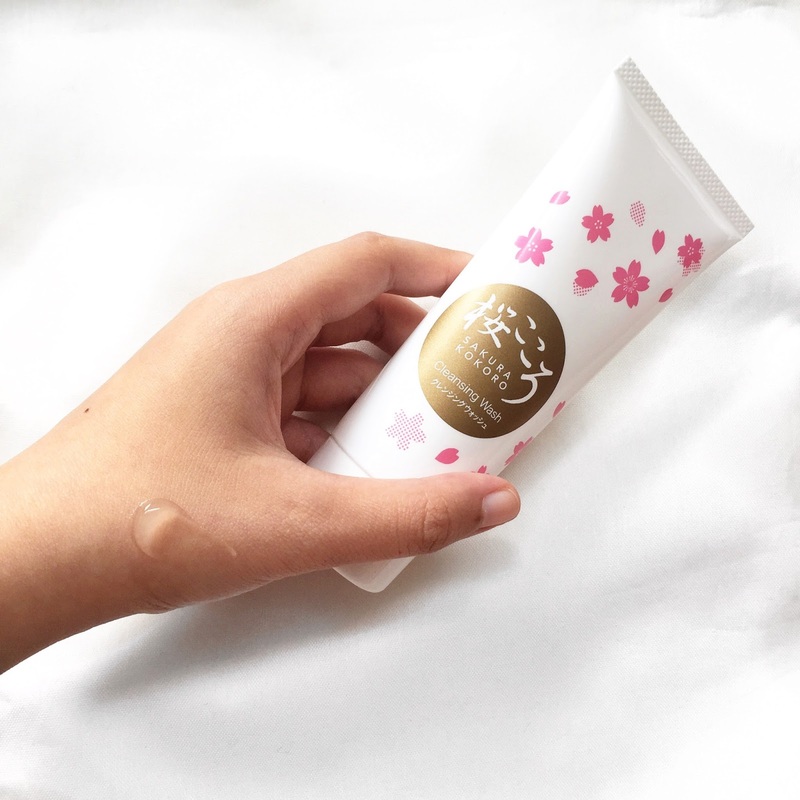 Sakura Kokoro's cleansing wash makes my skin clean without stripping off the natural oils from my skin. If you are a fan of brightening products, I think you might enjoy this too because I realised that after every cleansing routine, my skin looks brighter. So that is a plus! Ever since turning twenty-three, I added serums into my skin care routine. It makes a lot of difference to my skin. 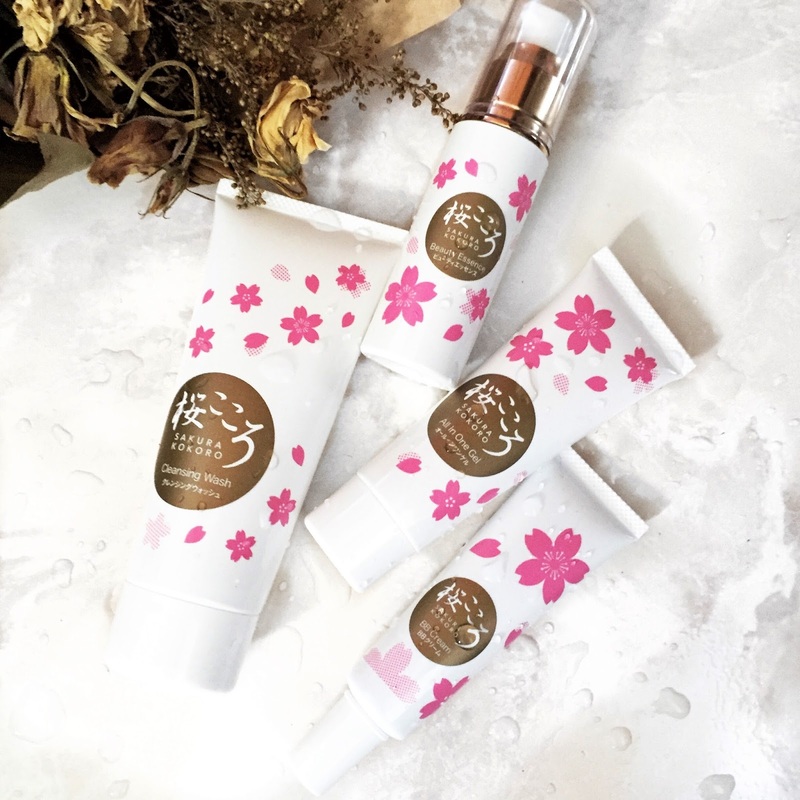 The beauty essence is a new addition to the Sakura Kokoro range. It feels light on the skin and absorbs pretty fast. It doesn't feel sticky at all which gives it a plus in my book. I hate anything that feels sticky on the skin. It makes me uncomfortable the entire day. Apply this regularly in the morning and night. I wake up with supple and brighter skin. Win! The All in One Gel is a face lotion, essence etc. altogether in one gel. I apply this after the serum for that extra moisturizing boost. On days when I had to rush out, I would skip the serum and apply the All in One Gel instead. I also use it as a moisturizer. My skin doesn't feel oily or sticky. I hope you can see the difference in my skin texture. I cleansed and applied the products to this area and you can see that it is definitely more supple than the area that is not circled. In fact, the other parts of my hand looks rather dry as compared to the one in the circled area. 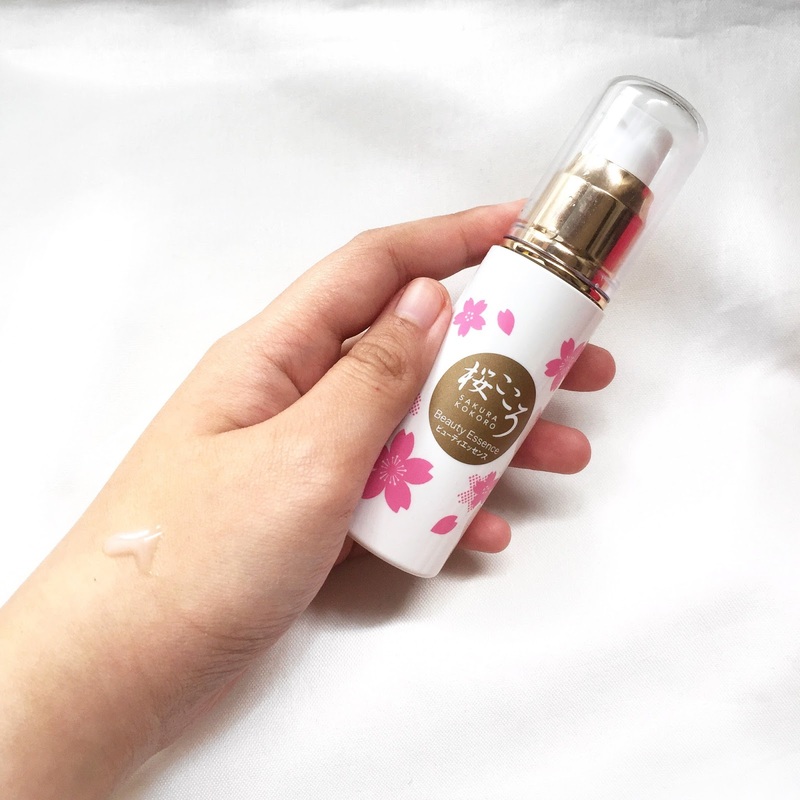 My sister tried Sakura Kokoro's products too and she has been loving it so far. My sister has dry skin and she mentioned that her skin feels very moisturized after the skin care routine. So the products are suitable for oily/combination as well as dry skin. All of Sakura Kokoro's products are lightly scented. It smells flowery but not too overpowering which I can definitely appreciate. The last product Ippin sent me is the BB Cream. I am not exactly a fan of any BB creams because I am a full coverage or nothing kind of girl. I did, however, tried this out a few days ago to make an errand near home. As with most BB creams, this one comes in only one shade. Since I am on the fairer side of the spectrum, this works for me. However, if you are on the tanner or darker side, this may not be your cup of tea. The BB cream is of sheer to light coverage. If you don't have a tonne of redness or pigmentation, you would enjoy this. If you would like to buy any of Sakura Kokoro's products or any Japanese products, you may click on this link below and be directed to Ippin's website.